Getting arrested in Scottsdale for an Extreme or Super Extreme Driving Under the Influence (DUI) charge is a particularly serious event that will damage your future if you are convicted. If you are arrested for an Extreme or Super DUI, you need to immediately seek a seasoned Extreme DUI defense attorney to protect your rights who can present a thorough and aggressive defense as Extreme DUI cases often go to trial. So Having a determined, tough litigator proficient in DUI law and court rules in your corner is a necessity from the start, which is at the arraignment when you’re formally notified of the charges against you and a plea is entered. Extreme and Super Extreme DUIs are considered felonies in Scottsdale, AZ and a person can be charged with an Extreme DUI if the person’s blood alcohol concentration (BAC) is between 0.15 and slightly less than 0.20 BAC. Super Extreme DUI begins at 0.20 BAC. At these levels, intoxication may seem obvious to traffic officers. The level of intoxication and impairment can be different depending on a person’s size, weight, alcohol tolerance, gender and how fast the body’s metabolism processes alcohol. A BAC between 0.15 and 0.20, three to four drinks, produces mood swings, anger, sadness, mania, and inappropriate social behavior such as becoming obnoxious, reports Duke University researchers[p1] . A BAC of 0.31 up to 0.40, about six drinks, unconsciousness, and death is possible, and death certain at 0.41. Arizona lawmakers adopted a no-tolerance law allowing police to arrest a driver even if the BAC was less than the base legal limit of 0.08 if the officer had reason to suspect the driver was slightly impaired. No-tolerance initially was intended to discourage teenagers from drinking and driving and to satisfy the federal National Highway Systems Designation Act of 1995. The act withheld federal highway funds to states that didn’t use a 0.02 BAC as the limit for drivers younger than the state’s drinking age, 21 in Arizona. Scottsdale police and prosecutors take Arizona’s no-tolerance policy to heart and enforce it to the fullest extent of the state’s drinking and driving laws, and as a DUI Defense Attorney, I know what prosecutors will do. Violations have harsh penalties to punish and serve as a deterrent. Police have a strict rulebook to follow for legally stopping and questioning you and administering a field sobriety test, which consists of a coordination test and breathing into a device that measures how much alcohol is in your blood. However, in April 2016 the Arizona Supreme Court ruled that a suspect can rightfully refuse alcohol testing because in traffic stop situations a judge has not issued a warrant allowing the tests. The U.S. Constitution’s Fourth Amendment right forbids warrantless searches. But a warrant can be issued in a few hours. Although you’re not required to submit to these tests, your license can be suspended if you don’t and the state will argue that you refused the test because you knew you were in violation of the law. Every case is different, and a good DUI defense may be able to open the door for reasonable doubt to step in and earn a dismissal or an acquittal. Possible defenses are suppressing evidence if the officer did not have a legal reason to stop the vehicle, the officer failed to notify the defendant of the Constitutional right to remain silent, the defendant was not driving and had no control of the vehicle, that the sobriety test results were faulty. The defense also may argue that the degree of impairment was lessened based on the individual’s metabolism of alcohol. If the judge makes a legal error during the trial that contributes to the result of the case, the defendant can petition the Arizona Court of Appeals to overturn the conviction. In some situations, the original charge and lawful sentence might be reduced to a lesser offense through negotiations with the prosecuting attorney in a plea agreement. These agreements help the state reduce the cost of trials and the courts’ caseloads. I’ve been defending extreme DUI cases for almost two decades and although things look bleak following the arrest everyone is entitled to a fair trial and a thorough, aggressive defense. I urge you to take advantage of my free case assessment without any obligation. 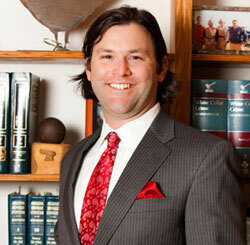 Contact the Law Office of Aaron Black or call 480-729-1683 today to make an appointment.